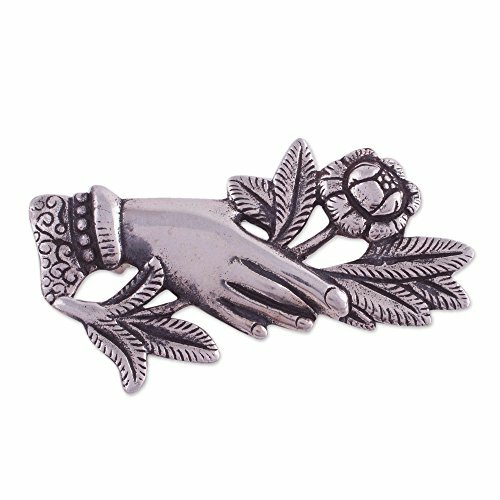 About this item: A hand grasps a delicate rose in this beautiful brooch, crafted of high-quality Andean silver for a stunning accessory. Peru's Hilda Cachi designs it, accenting it with a combination of finishes. For the artisan, this accessory brings together themes of love and nature for a harmonious union. NOVICA works with Hilda Cachi to craft this item.